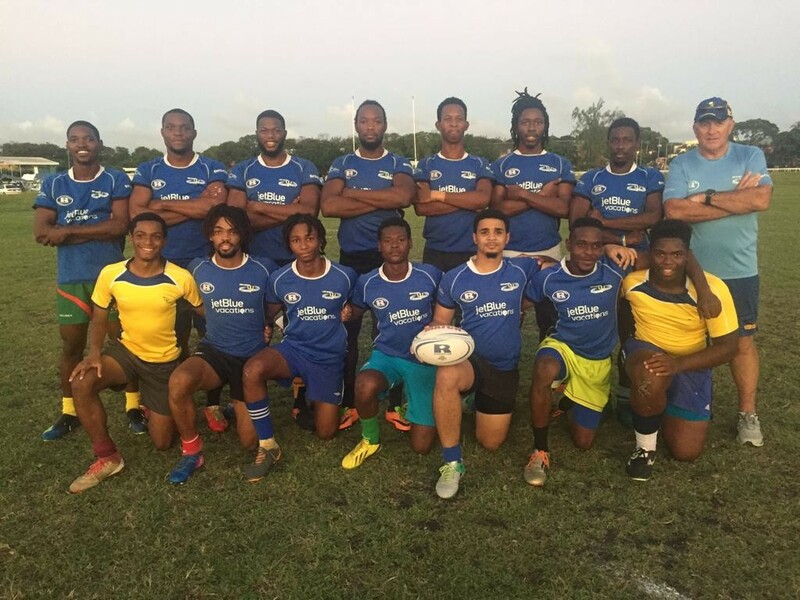 Bridgetown – The Barbados Rugby Football Union has today officially announced the names of the players who will represent Barbados at the 2018 Mitsubishi Electric Rugby Barbados World 7s (MERBW7s) Tournament that is set to take place at Kensington Oval over December 8th-9th. https://www.ticketpal.com/ and at all TicketPal outlets in Barbados. Patrons can also purchase tickets at the gate on both game days. For Tournament Corporate Hospitality Suites and Package bookings, visit http://www.rugbybarbadosworld7s.com/corporate-hospitality-…/ . The official JetBlues Barbados Team (with Head Coach Joe Whipple) who will compete at Kensington Oval over 8th and 9th December.